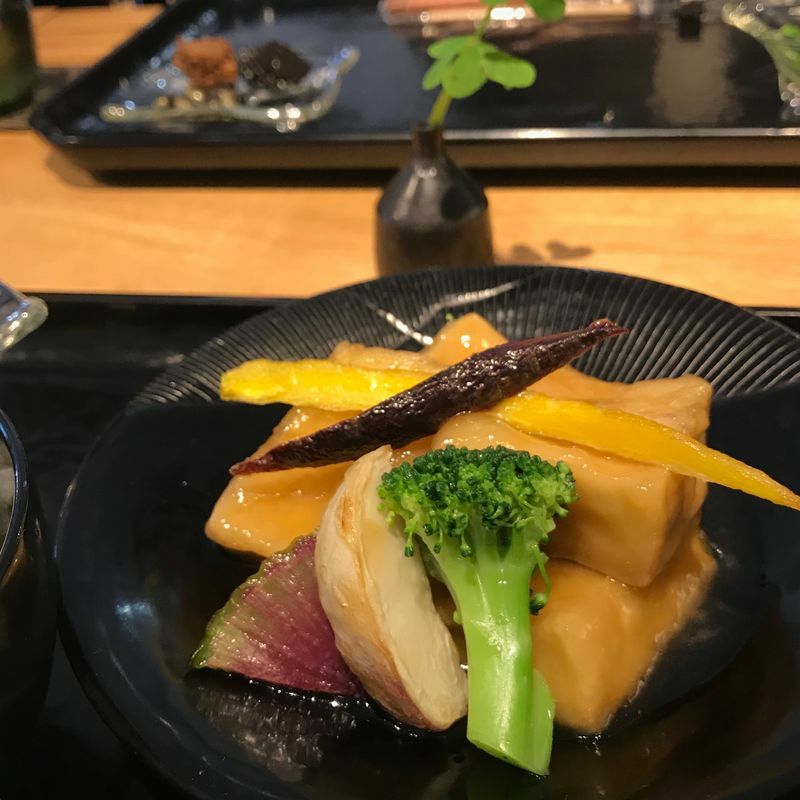 Cafe Guri is an enjoyable spot to visit in Kamakura if you're after some vegetarian cuisine, or have an interest in kamakurabori lacquerware. The cafe here specializes in shojin ryori, or devotion cuisine, central to Buddhist religious teachings. The meal set that I got included a vegetable soup, a fried tofu dish topped with colorful seasonal veggies, rice, beans and a kurumi miso. Perhaps the nicest part of the meal is that they serve it up on beautiful kamakurabori lacquerware. Everything was quite light but yet surprisingly filling - if you're in Kamakura with vegetarian companions it's not a bad spot to visit! I didn't encounter staff that spoke English, however they did have English explanations of the meals which is helpful if you're curious!